Published in the Endeavour Australia Cheung Kong Awards 2016 Memoir Book. I absolutely loved my experience as an exchange student! Hong Kong really is Asia’s global city, it’s where the East meets the West, and whatever experience I was looking to have, I certainly found it in Hong Kong! With many hikes to trek, countless sky-scrapers to gaze at, lots of food to eat, and much culture to be experienced, my favourite aspect of exchange, was getting to know people from all over the world! The friendships and connections I have made from this experience are invaluable to me. From social events and outings, even just to classroom discussions about world issues, my new international connections with people, has opened my mind, broadened my perspective, and caused me to learn so much more than I had even imagined! Even though it may seem a little bit scary at first to go away to a completely different country on your own for a semester, there are hundreds of others that are in the same situation, which made developing friendships fairly easy! I can’t think of another scenario I have been in which has allowed to me connect with people from all over the world, for such a long period of time, whilst having so much fun in the process! As a Bachelor of International Studies student, with a passion for international History and Politics, going on exchange was an incredible opportunity for me to gain practical international experience! To make sure I got the most out of my experience, one of the most important elements of my exchange, was purposefully engaging, and submerging myself in local culture. Once again, I achieved this mainly through developing friendships with locals. Volunteering was an eye opening experience too, and plenty of fun! I loved teaching little kids to read English with the Ronald McDonald House Charity, as well as helping senior secondary school students practice for their verbal English exam. The opportunities that came with this experience has been mind blowing. The many different cultures that I was able to embrace and learn from, has been life-changing, and I am beyond thankful for having the opportunity to study abroad for a semester! It’s definitely developed me personally and professionally for my future. 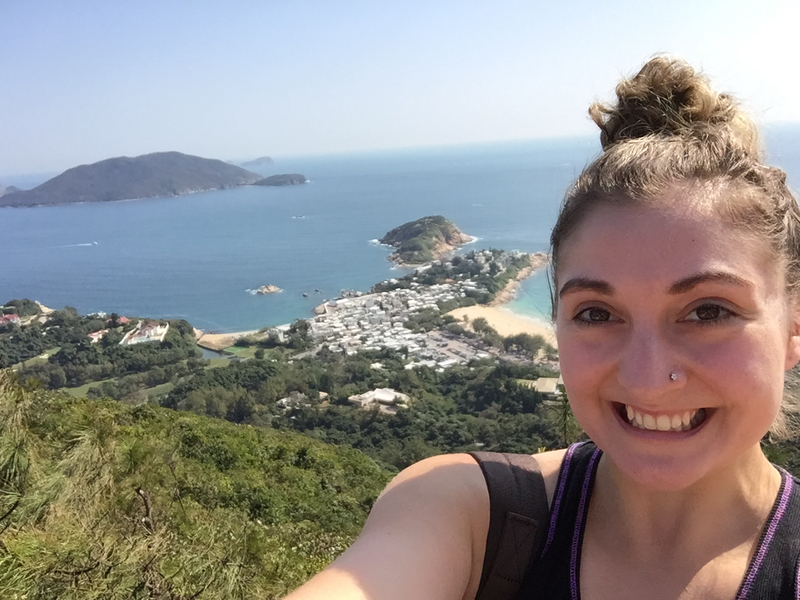 This entry was posted in Exchange, Faculty of Arts, Hong Kong, Student Blogs and tagged 2016 Memoir Book, Cheung Kong, ECKSEP, Endeavour, hiking, history, Hong Kong, international studies, politics, sky-scrapers, UHK, University of Hong Kong, volunteering. Bookmark the permalink.